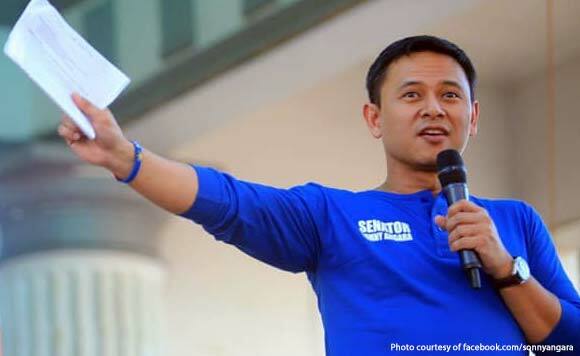 Reelectionist Senator Sonny Angara said the Department of Health (DOH) should be prepared for an influx of new people into the health care system once the Universal Health Care Law is implemented. To accommodate more patients , Angara said there is a need to upgrade the facilities and bed capacity of government hospitals . Angara, who is one of the authors of the landmark law ,said the Health Department should be given authority to increase bed capacity of state hospitals under its supervision. Angara is worried because under the present set-up, the DOH can only increase the bed capacity of its hospitals and upgrade their service through legislation. He said this limits access to medical and health services that Filipino patients deserve. Angara has filed Senate bill 1682 which proposes that the DOH be given the authority to increase the bed capacity of all government hospitals to address the gap in hospital bed requirement.